Even in a city full of artists like Montreal, it can be hard to connect with other creative minds, especially for emerging artists. On January 12, the English-Language Arts Network (ELAN) and the Quebec Drama Federation (QDF) hosted a discussion and networking event at the MAI (Montréal, arts interculturels) to facilitate encounters between local artists. The evening was part of the Lundi Pluriel series and focused on theme of cultural diversity in Quebec’s English-language arts.The series encourages attendance from emerging artists and those who identify as culturally diverse, but events are free and open to all. 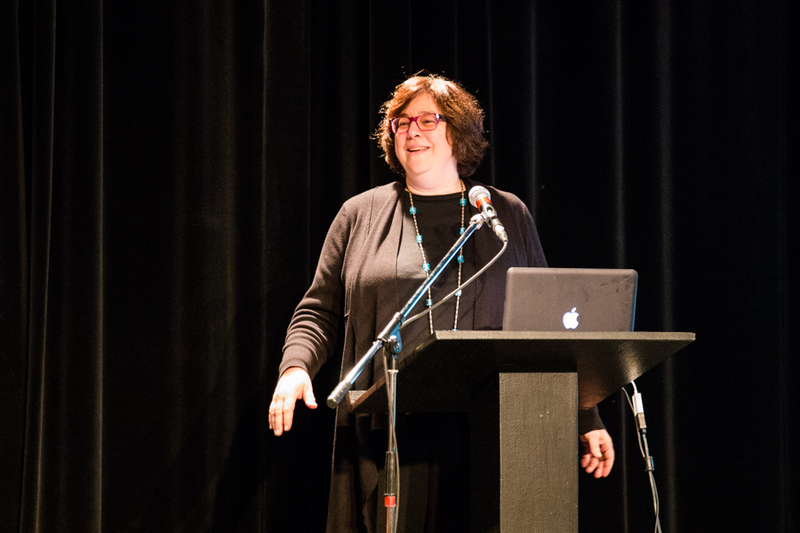 Deborah Forde, executive director of the Quebec Drama Federation (QDF), spoke about the QDF as well as about the challenges faced by visible minorities in the theatre world. She highlighted the “survival of culturally diverse arts, art, and people,” and emphasized the need to make “alliances and build a collective force” to meet this aim. With cultural diversity merely mentioned at the beginning of each speech by the organizing groups, the discussion felt at times more like a promotional event than a critical look at diversity in the arts. While the speakers each offered a slightly different interpretation of “cultural diversity,” the topic of the event as a whole was far too broad to have left the audience with much insight. Cultural diversity can have any number of meanings, but the speakers, for the most part, reduced it to an aphorism. The more thought-provoking moments in the event came not from the organizing speakers, but the artists present. The more thought-provoking moments in the event came not from the organizing speakers, but the artists present. Self-described social artist Salima Punjani, in particular, took the stage to present an artistic, in-depth exploration of Montreal diversity. A photographer and multimedia journalist, Punjani presented her project called “My Montreal, Our Values.” The project, she explained, revolves around “diverse group of people ages 19-67, telling their own stories” and is a “safe middle ground [on which to] explore diversity.” She gave the audience a glimpse of her project with one of the multimedia stories – a video of a day in the life of Gianhi Tran, a francophone woman in Montreal with roots in Vietnam. Short but sweet presentations by audience members also set off the creative exchange with ten artists who had signed up on a first-come first-serve basis at the beginning of the event, each promoting their art projects in under a minute. Inna Zenona presented a hypno-anthropological theatre troupe; Parker Mah presented his radio project that revolves around storytellers and music lovers. These pieces were true representations of cultural diversity in Montreal and the creativity it fosters. Amy MacDonald, the production coordinator of the event, told The Daily, “We want to provide places for folks to come to share each other’s experiences and to connect with one another no matter what their mother tongue is, no matter what their cultural background is […] we try to maintain an open door.” This was the real value of the event – the opportunity it provided for artists to share their lived experiences, without having to book an art gallery or launch a Kickstarter page. Later, in the networking session that followed the discussion, participants seemed open and enthusiastic about their new encounters. Many happily jotted down and exchanged contact information. Regardless of how in-depth this discussion started by ELAN and QDF may have been, it ultimately brought Montreal artists together to take part in an important conversation – hopefully they can focus the conversation and keep it going.